Changes to parking at Solihull for employees and the Park and Ride service. From Monday 1st April if you are based at Solihull you must park on site with a valid car parking pass. The airport park and ride service will be available for the use of visitors only to Solihull between the hours of 730am and 530pm, with the exception of fridays where the last bus from the airport will depart at 3pm. If you still need to apply for a pass, click here or visit your nearest People Centre for an application form. Complete your application form and return it to the Business Protection Office located in Block 19. The shuttle service will run a new daily timetable from 1st April for the use of visitors only to Solihull between the hours of 0730 and 1730, with the exception of fridays. You can click here to view the new timetable. If you have already applied for a pass, your line manager should be able to issue this to you. If you still need to apply, you should complete an application form and return it to the Business Protection Office located in Block 19 as soon as possible. If you're not sure where to find Business Protection, please call the duty Security Supervisor on 07552 211270. What happens if I still park at the Airport from April 1st? If you are based at Solihull you won’t be able to use the service, please park on site. 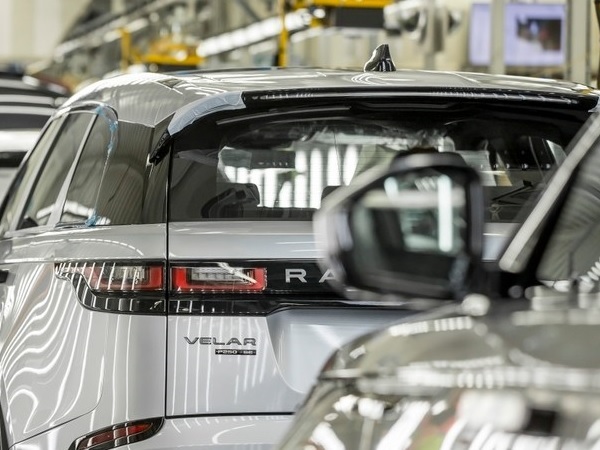 If you are a visitor to Solihull, whether you work for JLR or not, you can still use the shuttle service. It will be running on a reduced timetable so please factor this in to your commute. I’ve got my pass but I’m not sure where I park? If you are unsure where the car parks are on site, please click here for a handy map. What happens when I receive my pass? Once you have received your pass, please park in your designated car park. You must display your pass in the bottom right hand corner of your windscreen. If you are given a multi-story car park pass, please use Damson 1 Gate (no height restrictor) or North Works Gate on Lode Lane (height restrictor) for access. Driving on the internal perimeter roads within the yellow bi-fold gates is not permitted and will be subject to the traffic infringement process. From 1st April 2019, you must park in the area that you have been approved parking i.e. blue pass North Woks only, blue & yellow pass South Works only. Where can I find more information about the bus timetables for Solihull? If you would like more information relating to updates about the airport park and ride shuttle service please email travel@jaguarlandrover.com. Alternatively you can click here to visit the JLR Travel 2 Work website. Who do I speak with if I need more information? If you need more information on how to apply for an on site parking pass, please call Business Protection and speak to a Security Supervisor on 07552211270.